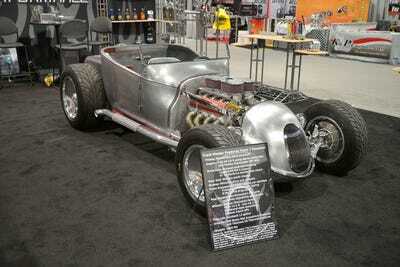 Every year, the automotive world descends upon Las Vegas for the Specialty Equipment Market Association (SEMA) Show, transforming the city into a mecca of aftermarket modified cars. The result — usually — is enough quirky, out-of-this-world rides to shock even Howard Stern. 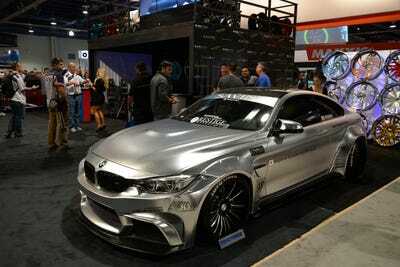 Every year, for SEMA, car companies and specialty tuners bring the coolest and craziest modified cars in their arsenal. 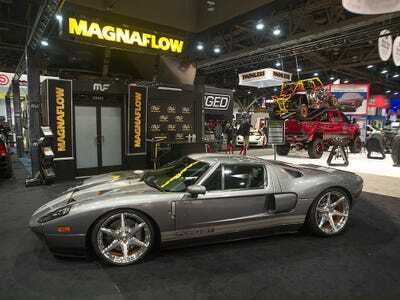 The SEMA Show, which runs for roughly a week in November, is expected to host more than 60,000 buyers of aftermarket car parts and the introduction of more than 2,000 new products. 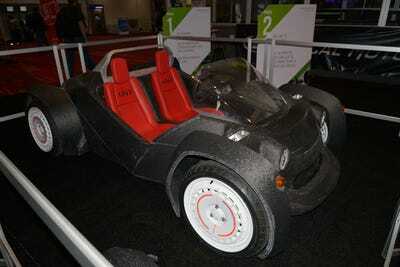 The 2014 SEMA Show takes place at the Las Vegas Conventional Center. ... or this Lamborghini Aventador with aftermarket Forgiato wheels. 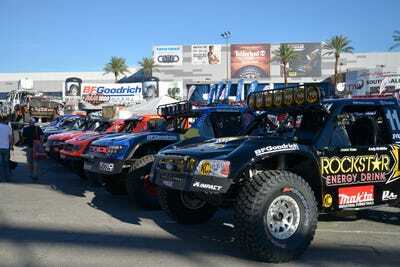 ... as are these trophy trucks that will compete in the Baja 1000 race in Mexico. 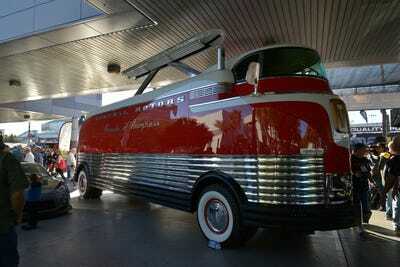 ... and this classy General Motors Futureliner are a reminder that what is old can be new and cool once again. 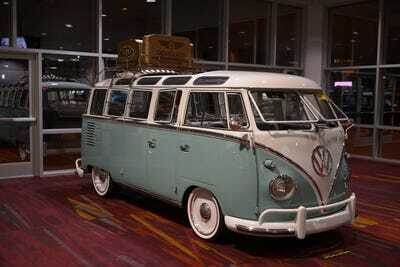 Although this Volkswagen Bus never stopped being cool. 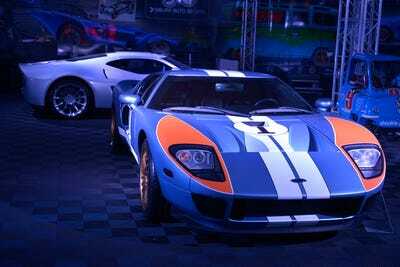 Race cars made an appearance, too. 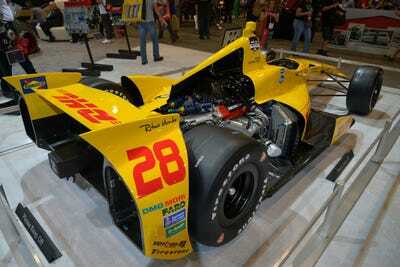 Honda showed off its Indy 500-winning race engine inside Ryan Hunter-Reay's number 28 Dallara. 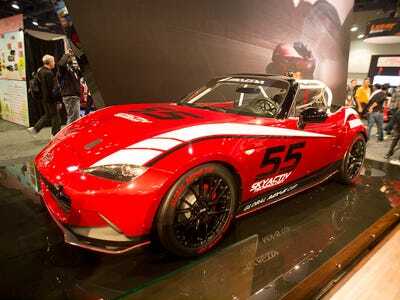 Mazda introduced the club racer version of its iconic Miata sports car. 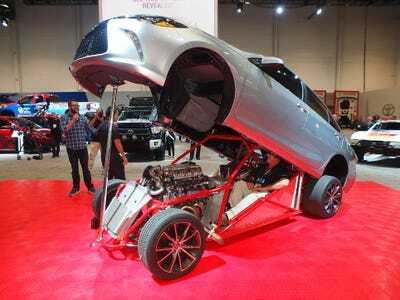 Toyota shocked the crowd with the ultimate sleeper dragster whose powerful V8 engine is hidden inside the body of a normal-looking Camry. 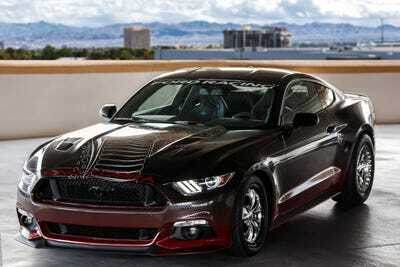 Ford showed up with a dragster, as well, with this 600 horsepower King Cobra Mustang. Here's the Mustang that will appear in Ken Blocks Gymkana 7 video. 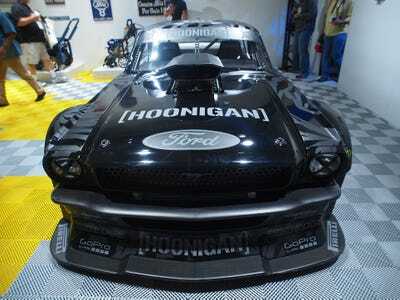 Here's Ken Block's Mustang from another angle. 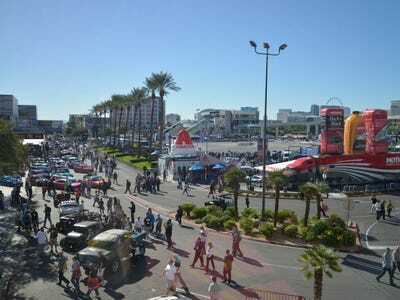 Toyota brought their Tundra monster truck to show off. 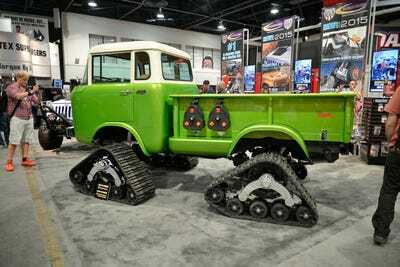 Ford's modified F-Series trucks weren't as tall as the Tundra, but they still have some serious ground clearance. Notice that the model's head barely reaches the window. This impressive F-Series has a dune buggy mounted over its truck bed. This rare 2009 Corvette ZR-1 was recovered from the sinkhole at the Corvette Museum and restored to its previous glory. 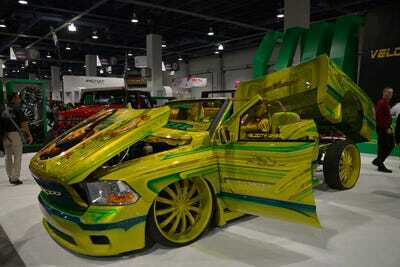 .... or this lowrider. 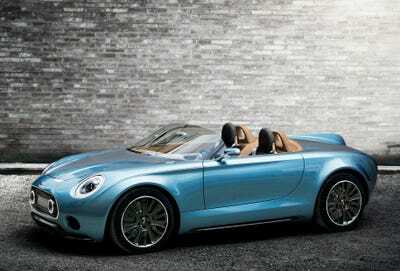 Looks kind of like an old-school Chevy Impala. ... or this seductive, teal-coloured Lexus Insta-Built RC-F coupe. 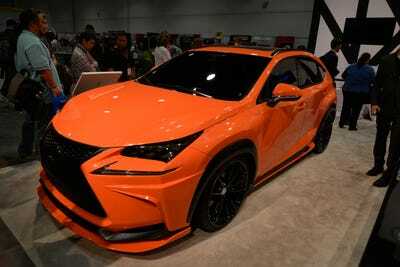 Lexus also brought this eye-catching orange NX200T F-Sports SUV, by 360 Elite Motorworks. 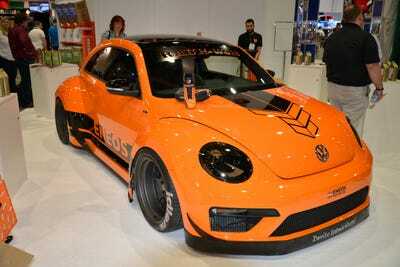 Speaking of orange: 'Top Gear USA' host Tanner Foust teamed with a Japanese tuning firm to create this hot VW Beetle. No show is complete without an awesome van. 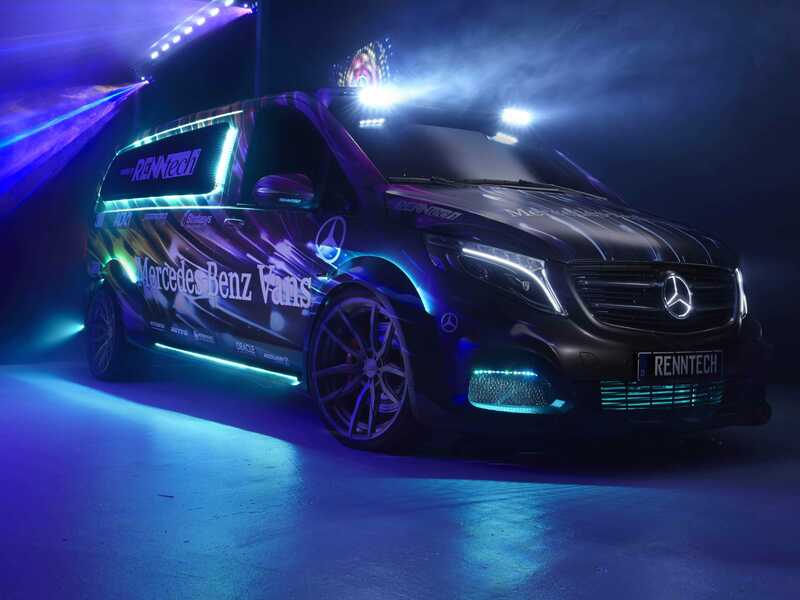 So Mercedes and Renntech teamed up to create the ultimate party van.